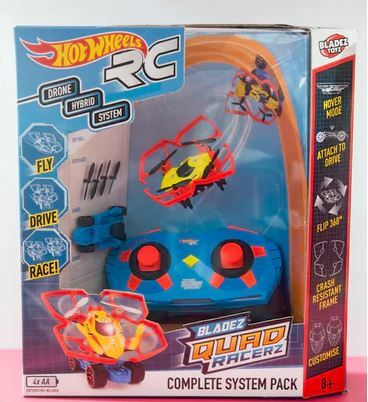 Later this year, thanks to a partnership announces by Bladez Toys with How Wheels and Mattel, we’re going to witness the launch of a cool new toy – Hot Wheels R/C Bladez Quadz Racerz and already, we believe it is going to be a big hit. Here we are, witnessing one of the world’s biggest licenses being combined with Bladez Toyz, so we could only wonder what is in store for the future. With these companies being combined, you should prepare yourself for a new range of innovative quadcopters that are going to take the vehicle racing world by storm. When you get the Hot Wheelz – Bladez Quad Racerz, you will be able to race and fly this 2.4GHz radio control quadcopter both inside and outside. You can connect a racing chassis to drift, drive and race this beast. There’s a Starter Set with this quadcopter, handset and drive chassis that will be available starting this year (2017), in September. For those that are seeking quads and race chassis for more racing excitement, there will be different expansion packs available. These expansion packs will give users the opportunity to build up a pretty impressive Hot Wheels collection. As an added note, we feel the need to mention the fact that Bladez was awarded a Best New Toy accolade in the Action Toys category during the Toy Fair in London at Olympia. The CEO at Bladez Toyz, Lain Morgan, stated “We’ve been working on this concept for a long time and can’t wait to see it come to market.” Traditional, flying toys and quadcopters have been aimed at teenagers that are 14 years and above. 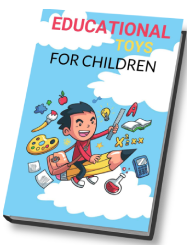 However, we have witnessed a large gap in the market for children ages 6 to 12 and that is why Bladez Toyz decided to design a new vehicle toy that would be a natural progression for Hot Wheels die-cast fans. Lain stated that further development of the product is on the table for the brand’s 50th anniversary, which will take place in 2018. Bladez Toys plans on releasing a commercial on television that will advertise this product – this can be seen later this year. With a collaboration with these two companies, there’s going to be a whole new world when it comes to Hot Wheels. Now, boys (and girls) are going to have yet, another innovative way they can play with their Hot Wheels. We can only wonder what these companies have in store for us in the near future. One thing is certain – Hot Wheels – Bladez Quad Racerz has already captured a lot of attention and it hasn’t even been released yet. As for release, we cannot find a certain date at the time of writing this review, but we’re sure it will be released later this year, maybe just in time for the holidays as this is something that many children are going to have on their Christmas list when this product finally comes out.